When you need a new (or second-hand) car or vehicle choose the most fuel efficient cars that meet your needs and budget. When you need a new car purchase the most fuel efficient model that meets your needs and budget. It’s well worth checking the fuel consumption figures or ratings of the cars you may be thinking of buying. Fuel consumption can vary from around 5 to well over 15 litres per 100 kilometres depending on make and model. You should also consider a diesel car when you next consider a new car. Modern diesel cars are greener than petrol cars because they burn their fuel 20-40% more efficiently. The new generation of common rail diesel engines are particularly efficient. In these engines a very high pressure pump feeds fuel into a tube or “common rail” that in turn feeds fuel to computer-controlled precision injector valves. This high pressure fuel injection system produces a fine mist of fuel than burns very efficiently and cleanly in the combustion chamber giving better engine performance. Most European car makers have common rail diesels in their model lineups for light duty and even commercial vehicles. Some Japanese manufacturers, such as Toyota, Nissan and recently Honda, have also developed common rail diesel engines. Diesels do emit higher levels of nitrogen oxides and particulates although modern car diesel engines are only marginally more dirty because of new technologies driven by stricter air quality emission standards. Some hybrid cars are among the most fuel efficient cars available on the market at present. Examples of hybrid cars available in New Zealand are the Toyota Prius and Honda Civic Hybrid. The first modern-day petrol-electric hybrid hit the market in 1999. However, the concept has been around for a long time. The Woods Motor Vehicle Company of Chicago introduced its Dual Power car in 1916, which could operate on electric power only, on gasoline/petrol only, or on both simultaneously. Full hybrid cars drive almost exactly like regular cars but have an electric motor and battery as well as a smaller petrol engine. The electric motor supplements the petrol engines as much as possible. Sometimes the petrol engine is turned off completely. The battery running the motor is charged up when the driver brakes. This is called “regenerative braking”. Regenerative braking makes use of the fact that an electric motor can also act as a generator that can produce electricity. During braking, the hybrid car’s electric motor is switched over to act as a generator which produces a braking effect or load (because the generator has to do work to produce electricity) as well as electricity that is fed into the battery. 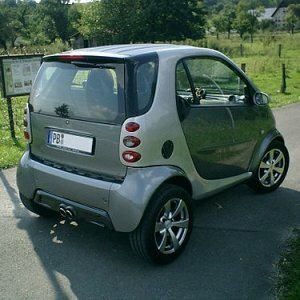 Small hybrid cars can use as little as 4.5 litres to go 100 km. There are dozens of hybrid cars available around the world including diesel hybrids and SUVs. Mild hybrid cars are where they are limited to parallel hybrid mode. This means whilst a mild hybrid has a battery and helper motor, these operate while the petrol engine is on, and never fully take over. They are not powerful enough to propel the car without the petrol engine also doing some of the work. These are similar to full hybrid but have the benefit of a larger battery which can be plugged-in and charged so even less petrol or diesel get used. Purely electric cars are still not widely available. There are a number of prototypes but very few are in production and only in small supply at this stage. The problem with EVs (electric vehicles) is their range. Battery technology is still developing but at this stage batteries can only last for about 100km. Also, bear in mind that much of the electricity used to charge the battery in an EVwould be from generation plants fuelled by coal or natural gas. To be truly sustainable, electric cars would need to be charged with electricity generated from renewable energy sources such as wind, geothermal or marine energy. A fuel cell vehicle is essentially a hybrid vehicle that is powered by an electric motor, which gets its power from a fuel cell stack rather than an internal combustion engine, as in today’s hybrids. While the internal combustion engine gets its energy from gasoline, the fuel cell stack gets its energy from hydrogen. The hydrogen is combined with oxygen to generate electricity, which is in turn directed to the electric motor. Vehicles with this type of propulsion system are much more energy efficient than gas- or diesel-powered (internal-combustion) vehicles. The most efficient internal combustion engine has about 30 percent efficiency rate, meaning that 70 percent of the energy generated from the engine is lost as heat. Fuel cells, on the other hand, deliver from 40 to 70 percent efficiency. What’s equally impressive is that the only emission from a fuel cell is water. Internal combustion engines, on the other hand, produce emissions that cause smog as well as carbon dioxide, which contributes to global warming. There are only a handful of fuel cell vehicles in use today because the technology is still being developed. In addition, there are relatively few fueling stations with hydrogen. One of the biggest issues facing the auto industry is how to cost-effectively produce and deliver the hydrogen fuel that would be required to make mass production of fuel cells realistic. Despite the fact that hydrogen is the most common element in the universe, it is often bound with other common molecules, such as water, methanol, natural gas, or even gasoline. As a result, the hydrogen must be extracted from its primary source through a process that breaks the hydrogen bond with the other element(s). Currently, the most common way to produce hydrogen (which is used as a power source in various industries) is to extract it from natural gas, using a steam reforming process. Water, wind, solar, and biomass (plant material, vegetation, or agricultural waste that is used to produce fuel) are all possibilities for generating some of the hydrogen supply, in much the same way that these clean resources provide some of our electricity now. Another issue is how to store enough hydrogen onboard a vehicle to provide a cruising range similar to the 500-550km range of today’s vehicles. Currently, fuel cell vehicles run on pressurized hydrogen. In theory, to increase the driving range, the hydrogen must simply be placed under greater pressure, allowing more of it to be stored in the same tank. But, as one can imagine, the concerns for leakage and other problems, especially in the event of a collision, grow as storage pressure increases. Despite the lingering bad reputation that hydrogen may have received from the Hindenburg blimp accident in 1937 (although it was later determined that hydrogen was not the cause), hydrogen requires about the same level of safety precaution as gasoline.